What makes these Ale Street trips of ours so memorable? So repeatable? It’s those little things that jog the memory, something you didn’t know, a sudden surprise that changed the color of the moment. Here are a few personal tastes and touches from the ASN 2018 Belgian Beer Paradise Tour, in rough order. Next noon, the moist, floral rind of Chimay’s own Poteaupré cheese stayed on my palate beyond four others on a board with matching Trappist ales. Though the pairing suggested Dorée, the light “Monk’s ale”, I found the flavor opened up through Chimay Red. As lunch ended, we sipped new thrice-fermented Brandy Barrel-Aged Grande Reserve. Spectacular! Being completists, we snapped up bottles of Rum Barrel-, Whisky Barrel-, and regular old French and American Barrel-Aged versions. Look for them. Cafe In de Vrede, hidden in plain sight in the countryside by the monastery, appeared. There they were, with a sandwich. All three Westvleteren Trappist brews: green cap Blond (5.8%), blue cap 8 (8%) and yellow cap 12 (10.2%). As everyone went mad grabbing a 6-pack or two (the limit) of Westy 12, I sipped yet another glass of the delectable Blond. Heavenly. The BeerSensei, right, cheese tasting and lunch at Chimay. We discovered a secret label in the tasting room of Brouwerij St. Bernardus next morning. On every 1000th bottle of the Abt (10%), the guy in the robe is winking at us! Also, here they recommend using a dry glass for the pour. The minerals in the rinsing water (they say) alter the flavor of the beer. ‘T Gaverhopke’s new brewery is in a heritage building. Local strictures demand no dust or residual water on site. Impossible? Not for these inventive brewers. They now boast a totally self-contained system. With it they brew the intriguing Koerseklakske (5.5%), flowing somewhere between a pils and a witbier. Say that name 3x fast before ordering it. Brouwerij Verzet produces great sours largely due to siting their brewery in a former dairy with full refrigeration intact. Doktor Rudi Sour (6%) is named for a NZ super alpha hop that’s new to me; their NOAH stood for No American Hops; thir Bristish IPA was named Piss Off; and their Oud Bruin series, all sourced Euro ingredients, weigh in at 6%, with additions of cherries (Poland), grapes (Italy), or (get this) oak leaves from right out back. Different and delicious. “Of all the Marriott’s in all the world, she had to turn up here!” Ghent’s Marriott possesses a well-tuned lobby piano which tempted our Holly Roberts to early morning serenade the groggy travelers awaiting our bus. Beer tourism highlight Dulle Griet requires a shoe to be held ransom for their made-to-order Kwak-like glasses, hoisted to the ceiling in a basket. The basket was full. A timeless stop, possibly because their clock runs backwards. Ah, Rodenbach. Lovely beers, but can’t say much ’cause this morning I missed the bus. Thanks to Belgian Rail efficiency we caught up just as our gang was leaving the tasting room. We did manage a Rodenbach Grand Cru (6%) with lunch. Better than, though similar to, the sour grapes I was feeling, having missed my beloved resuscitated Rodenbach Alexander (5.6%). Oud Maalderij is signposted with a derelict Eastern European mini-van, now a summer beer pop-up bar. They have a marvelous junk shop (sorry, “antiques”) to review while sampling their Homo Beerectus series. We also dived deep into The Kraken, a 14% Ardbeg whisky barrel stout wonder. Heavy lifting but worth it. In West Flanders, De Hoppeschuur’s special beer dinner was lit up with the presence of owners Hildegard and Bas van Ostaden. These creators of the little Uthels (he drew ‘em, she brewed ‘em) offer Hildegard’s Special Ales (brewed onsite) and paired dinners with both of them at the helm. They’re distilling as well: newly released Bassets True Blue Gin requires some attention. In their fabulous new brewery, 3 Fonteinen’s legendary Armand Debelder spun out a great story along with great samples. A refrigeration unit failed, heating a warming room enough to explode most of the yeast-dosed bottles. Craftily, the survivors were distilled into a wondrous fluid. But sadly, no time for the gorgeous tasting room! We had to retreat to the bus. For a reason. The Night of Great Thirst Lambic Festival appears on a revered hilltop in Itterbeek every two years. Along with Belgian greats Hanssens Scarenbecca cherry lambic (6%) and Cantillon Saint-Lamvinus (5%) there was an American presence. We’d seen Allagash here before, but now Oxbow (also Maine) and De Garde (Tillamook, OR) had deliciously “spontaneously fermented” offerings as well. Can’t call it “lambic” unless it’s fermented here in the Senne valley. Funny, though. They taste like the rest of the Fest. Look ‘em up. Zythos Festival ’s iconic splashout cross section of Belgian beers old and new still overwhelms, 100 breweries and 500 beers waving hello. It’s been produced by a consumer organization for consumers for 15 years. 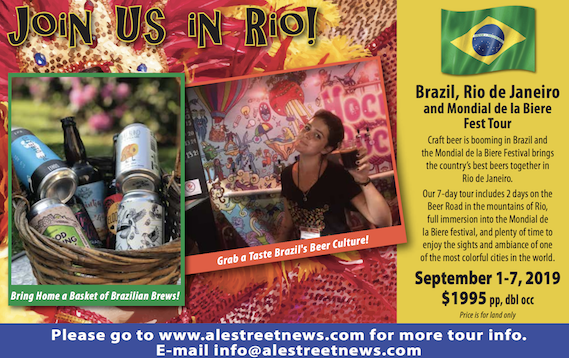 With Ale Street efficiency, we isolated enough table space to dive in right away. There’s a tidy little program in English you can fill with check marks and notes next to specs on every beer you try. Nice pours, too, 10cl for a €1 token. Here are some of them that worked for us: Beer Project SA Jungle Joy (6%), reaching to be a fruity IPA; last year’s magnificent winner, Gouden Carolus Cuvee van de Keizer Whisky Infused (11.7%); Gulden Draak Calvados (10%) strong amber. There were loads of IPAs and There were loads of ipa’s and barrel aged big ales and stouts: Duvel Moortgat came out with Blue Pearl Russian Imperial Stout (11%); Brasserie de Blaugies La Vermontoise (guess the style – 6%). Stranger brews shouted at us: Brasserie du Brabant Gazpacho Sour laced with tomatoes and cucumbers; and our special favourite, De Cam spontaneously fermented, barrel aged Framboise (6%), delicately sour, not sweet.